All concerts take place at 2:00 pm in the Lyon Family Salon in the Rochester Academy of Medicine. $26 Academy Members with reservation and $5 student. These concerts are made possible by the generosity of following individuals and community partners! Steinway Artist Rebecca Penneys is a recitalist, chamber musician, orchestral soloist, educator and adjudicator. For six decades she has been hailed as a pianist of prodigious talent, one of America’s great pianists. Rebecca has played throughout the USA, East Asia, Australia, New Zealand, South America, Western and Eastern Europe, Middle East and Canada. She is a popular guest artist, keynote speaker and pedagogue nationally and internationally. A devoted teacher, her current and former students include prizewinners in international competitions, and hold important teaching posts on six continents. Combining a busy concert schedule with seminars and master classes worldwide, she teaches international students at Eastman School of Music and at the Rebecca Penneys Piano Festival held at the University of South Florida in Tampa. Rebecca divides her time between New York and Florida. In New York she is Professor of Piano at Eastman since 1980, Co-Founder-Pianist 1997, of the 5-concert Salon Chamber Music Series and she is also Founder-Artistic director 2009, of a popular young artist series called Eastman Piano Series at the Summit. In Florida, she is Artist-in-Residence at St. Petersburg College, a position created for her in 2001, director of the St Petersburg College Piano Series since 2007, Steinway-Artist-in-Residence at the University of South Florida, a courtesy appointment made in 2015, and Founder-Director of the Rebecca Penneys Piano Festival and Rebecca Penneys Friends of Piano which launched in 2013. 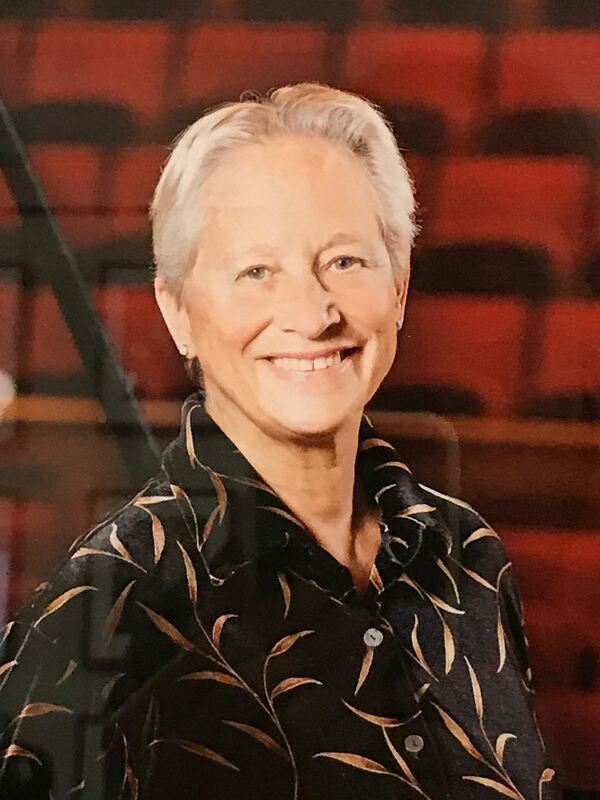 She has held other appointments at University of North Carolina School of the Arts, and was Piano Chair at the Wisconsin Conservatory of Music in Milwaukee and at Chautauqua Music Festival in New York. Cellist Stefan Reuss had a performing career, which led him to concertize in Europe, Asia, North and South America and Australia, in some of the most famous halls of the world, including the Berlin Philharmonic Hall, Vienna Musikverein, Royal Festival Hall London, Suntory Hall Tokyo, Teatro Colon in Buenos Aires and Carnegie Hall. A native of Germany, he was a member of the Ensemble for Renaissance and Early Baroque Music in Hannover, the Ensemble for Contemporary Music at Radio Bremen, as well as the Camerata Bariloche, a chamber ensemble from Buenos Aires, Argentina, with which he toured around the world performing in South America, Japan, Thailand, India, Greece, Italy and Austria. For his New York City Debut in Carnegie Hall he performed the Saint-Saens Cello Concerto. His main teachers were Antonio Janigro at the Düsseldorf Conservatory, Rudolf Metzmacher at the Hochschule für Musik in Hannover and Harvey Shapiro at the Juilliard School in New York, where he received his Master of Music degree. 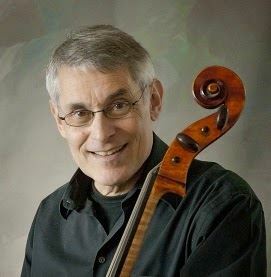 Mr. Reuss held positions of tenured Professor of Cello and Chamber Music at the University of Northern Iowa, Cellist in the San Francisco Symphony, and for 25 years Principal Cellist of the Rochester Philharmonic Orchestra, from which he retired in 2014. Aside from his orchestral career, Mr. Reuss is known for his solo recitals and chamber music performances. He has performed in music festivals all over the world, including Salzburg, Austria; San Martino, Italy; Cornwall, England; Victoria, Canada; Bellingham, Washington; Houston, Texas, just to name a few. He was Co-Artistic Director of the Society for Chamber Music in Rochester from 2001 to 2013 together with Joseph Werner, principal pianist of the Rochester Philharmonic. Presently, chamber music lovers can hear him regularly throughout the season in the Salon Concert series here at the Academy of Medicine, which he founded together with Sidney Sobel, MD in 1998, as well as the Finger Lakes Chamber Ensemble of which he is a founding member as well, and which performs regularly in Ithaca, Lodi and throughout the Finger Lakes region (Fingerlakeschamberensemble.org). In addition to his performing activities Mr. Reuss maintains his private teaching studio. He lives in Pittsford with his wife Valerie who is a social worker at Hillside Children’s Center. His son Joshua is a third year resident in internal medicine at the University of Virginia Medical Center in Charlottesville, VA and David, his younger son, is working for Epic, a medical software company in Madison, Wisconsin. Mr. Reuss performs on a beautiful Italian cello made by Joseph Guadagnini in the year 1798. Mikhail Kopelman graduated from the Moscow Conservatory where he studied with Maya Glezarova and Yuri Yankelevich. In 1973 he won second prize in the Jacques Thibaud International Competition in Paris.A former member of the Bolshoi Theatre Orchestra and concertmaster of the Moscow Philharmonic Orchestra, Kopelman was appointed first violin of the Borodin String Quartet in 1976, and played with the ensemble for two decades. 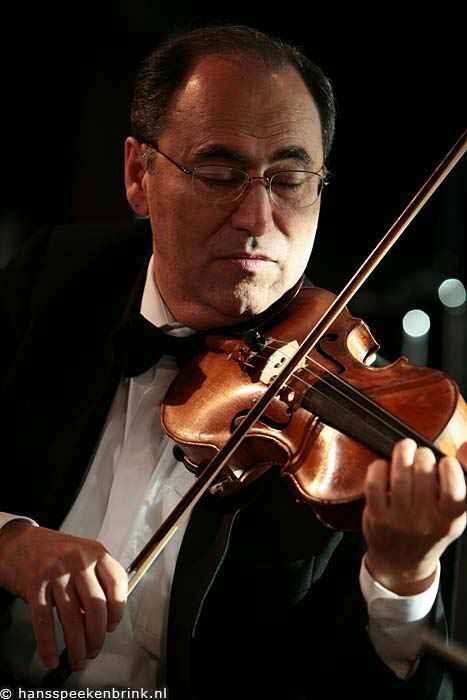 As a member of the Borodin Quartet, he has been awarded the state prize of the U.S.S.R. and he has been named People’s Artist of the Russian Federation. From 1980-1993 Kopelman was on the faculty of the Moscow Conservatory teaching both solo violin and string quartet. He has given master classes at the Guildhall School of Music in London, the Britten-Pears School in Aldeburgh, UK, in Tour (France), Rome, Florence, Turku (Finland), Stockholm, the Hochschule in Hamburg, and the Hochschule in Vienna. Since 1993, Kopelman and his family have lived in the United States. In 1995, he received the Royal Philharmonic Society Award and the Concertgebouw Silver Medal of Honour. He was first violinist for the Tokyo String Quartet from 1996-2002 and formed the Kopelman Quartet in 2002. From 1996-2002, he was also professor at the Yale School of Music, coaching chamber music. Kopelman has performed in many international festivals such as the Edinburgh Festival (UK), Hong Kong, Schleswig-Holstein, Florence, Salzburg, Tour, Moscow, the Ravinia Festival, Santa Fe, Caramoor, Norfolk, and the Mostly Mozart Festival in New York City.For over 15 years he was closely associated with Sviatoslav Richter in numerous performances and recordings. He has also collaborated with Mstislav Rostropovich, Gideon Kremer, Natalia Gutman, Elisabeth Leonskaja, Alicia de Larrocha, Christoph Eschenbach, Yuri Bashmet, Victor Tretyakov, Eliso Virsaladze, Peter Donohoe, Boris Berman, and Emanuel Ax. Kopelman has made numerous recordings for the Melodia, EMI, Virgin Classics, Teldec, Philips, Nimbus, and Wigmore Live labels. Kopelman has also served as a jury member for several international competitions. These have included the Evian, ARD Munich, and Bejing String Quartet competitions, as well as the Indianapolis and Queen Elisabeth International Violin competitions. In 2002, with the purpose of continuing the rich traditions of the Russian School of Quartet Playing, he founded the Kopelman Quartet together with some of his contemporaries from the Moscow Conservatory. He has been professor of violin at Eastman since 2002.